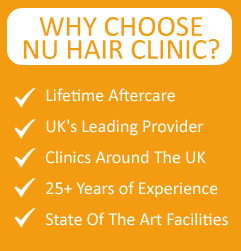 You can lead a healthy lifestyle take best care of your hair but one thing is certain – due to genes and ageing hair loss is inevitable. However, when it starts to happen, the feeling of our youth leaving us can be fairly discomforting. There is no need to stress just how horrible we tend to feel in such cases, but luckily there are ways of coping with this form of depression. First of all, hair loss does not indicate weakness, or that you are indeed old, and as far as other coping mechanisms are concerned, here are a few tips on the topic. The reasonable thing to do is accept your new reality, it is completely natural and there is nothing you can do about it. There were things you could have done in the pest perhaps, but it would have only delayed the process, so batter face it now than later. For starters, you can find comfort by seeing how other celebrities look with receding hair, and realize that even though their hair is gone, their charisma has not faded away. In fact now you will look wiser and more mature, and have stronger character. All you need to do is figure out the style that will bring out all of these features in you. Another way to tackle the issue is to cut your hair completely and see how bald look suits you. If you are tall and in good shape, it might actually be an improvement. Additionally, much like with previous paragraph with right set of clothing and accessories, you can look as intimidating bodyguard, or as professional as a serious business owner. You must admit that for a man this can be a real confidence boost, who knows it can turn out that your hair loss was blessing in disguise all along. 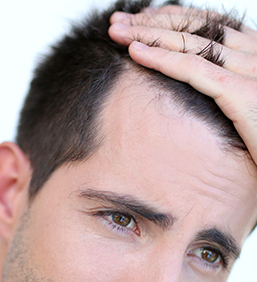 Lastly, you can always select an option to grow your hair back, by undergoing hair transplant procedure. There is nothing to worry about actually, you actually get your own hair back, since the donor is area of the head where the hair still grows. You can educate yourself further on the topic and see how this look will only make a minor, if any, difference when compared to your previous hairstyle. A great number of people opts for this solution, since it is the easy way out, and you will recover from the procedure relatively quickly. This entry was posted on Monday, August 10th, 2015 at 10:07 AM	and is filed under Follicular Unit Extraction, Hair Loss Treatment, Hair Transplant, Hair Transplant News. You can follow any responses to this entry through the RSS 2.0 feed. Responses are currently closed, but you can trackback from your own site.